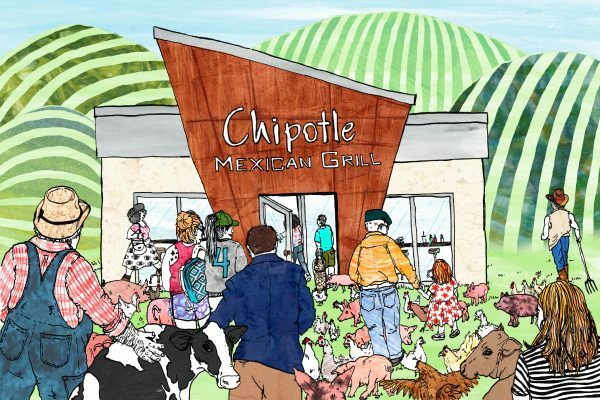 An opening illustration for an Eater article on why bashing Chipotle is a bad take on the brand. I am a New Jersey native who lives in and feels at home in Brooklyn, NY. I graduated from Pratt Institute studying Communication Design, with a focus in Illustration. In my work … Show more. Send a message directly to Maddie Fabbro. I am a New Jersey native who lives in and feels at home in Brooklyn, NY. I graduated from Pratt Institute studying Communication Design, with a focus in Illustration. In my work I like to play up the quirks and humanistic mannerisms that make people exceptional. What we all have in common is that we are all one-of-a kinds. So I look for peculiarities that catch my eye as artistically masterful. Often I find beautiful humor in these exceptional qualities and play with the fun of our uniqueness. Some of my humanizing quirks include a love for iced coffee (I don't do hot), drinking craft IPA's with my dad, watching basketball, traveling and spending time on the beach. Just to name a few.